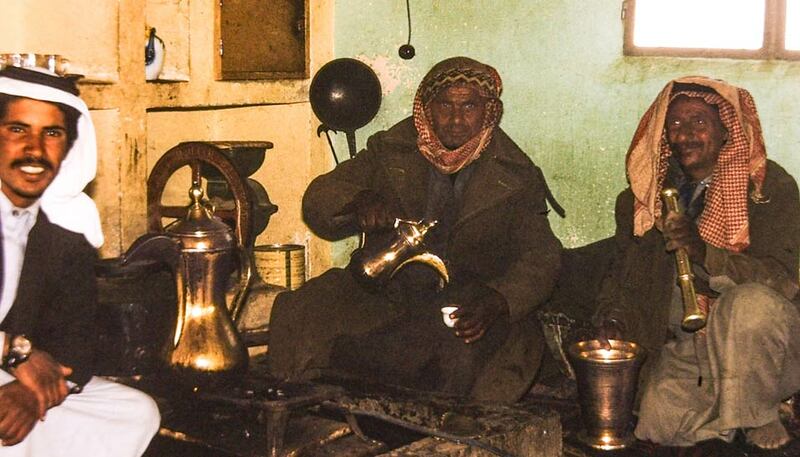 We enjoyed tea in the Emir’s majlis and later examined his fine hunting falcons. 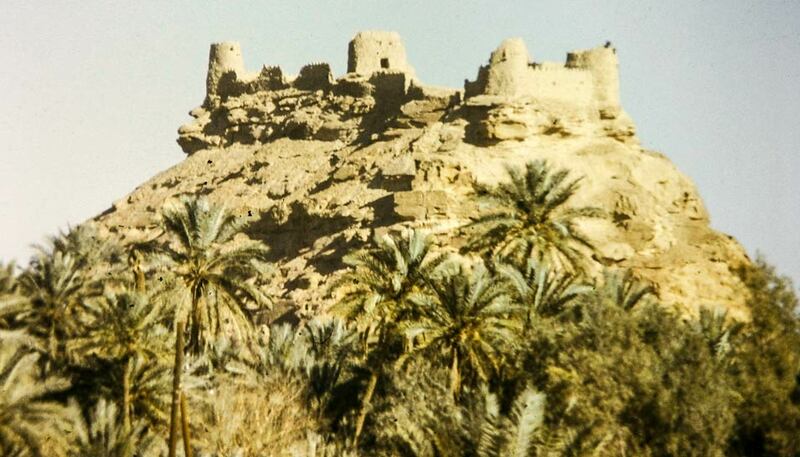 A large fortress sits high above the desert on top of a rock jebel (hill or mountain) with steep slopes on all sides. This fort named Za’bal is about 120 years old, but earlier forts built on the same site date back to 1200 AD. We found a 70 year old spent Turkish cartridge forced into the top of the door. The climb to the fort gave us an excellent view of the surrounding area. Other historical sights are found in this area and we began our tour by visiting the ancient step well or ‘ain near the fortress. This large hole in the desert had steps carved from limestone along the side allowing people to reach the water nearly 50 feet below. This well is similar to the famous al-Jib well of ancient Gibeon. Carved and hollowed rocks were found all around the fortress. We let our imaginations guess at their uses. Perhaps they were used for games or other entertainment. West of the fortress is a large rock formation called al-Barnus. Pre-Islamic pictographs of human figures, perhaps dancing girls, were carved into one side of the rock. 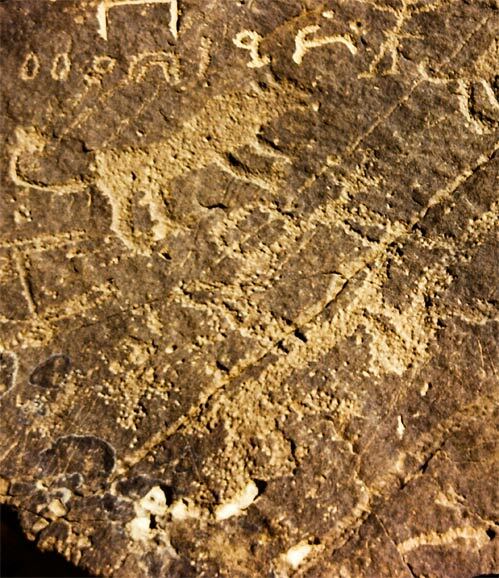 On of the road into Sakakah at al-Qal’ah we found carvings of now extinct ostriches of northern Arabia, along with several Talmudic and Nabatean inscriptions dating from the 3rd Century BC. A page from Winnet & Reed's book. The Emir provided a guide who took us to another rock formation with many additional pictographs and inscriptions. 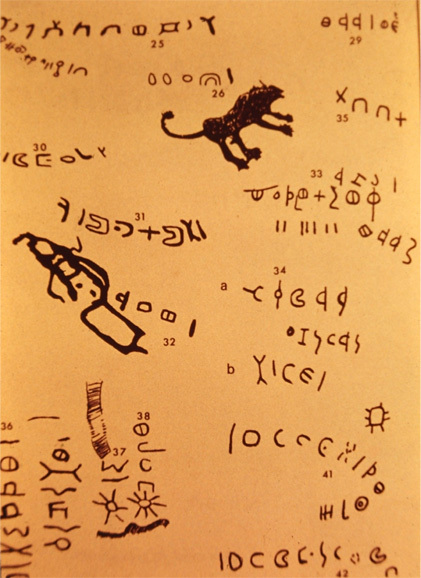 Winnet and Reed have cataloged these carvings in their interesting 1970 book, Ancient Records from North Arabia. Dr. F. S. Vidal assisted them in their study. He was an archeologist working with Aramco. Much of the following descriptions are based on their book. 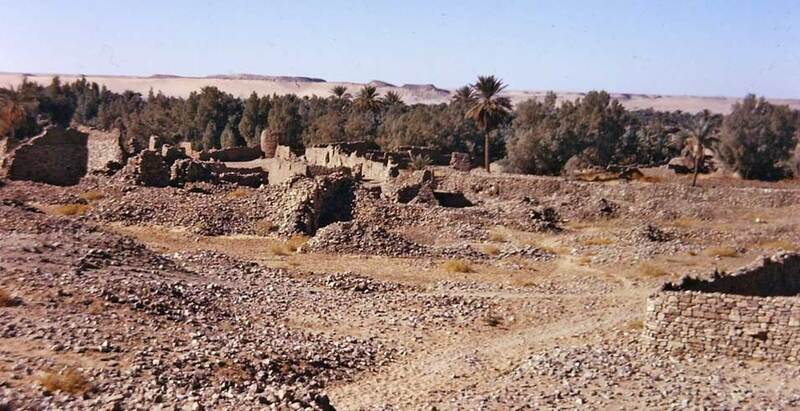 We traveled south and arrived at Qarah. Several miles beyond the village, we came across “al-Rajajil” or Standing Men. A collection of some fifty groups of huge stone pillars were placed in the ground reminiscent of Stonehenge, although the pillars were not as wide and were set further apart. A cluster of four or more pillars was set in a platform of stones tilted like large matchsticks. Each one was eight to 10 feet tall. The clusters formed an irregular circle of approximately 500 square yards. Inscriptions were found on the pillars. One group may be Thamudic inscriptions; others were tribal. 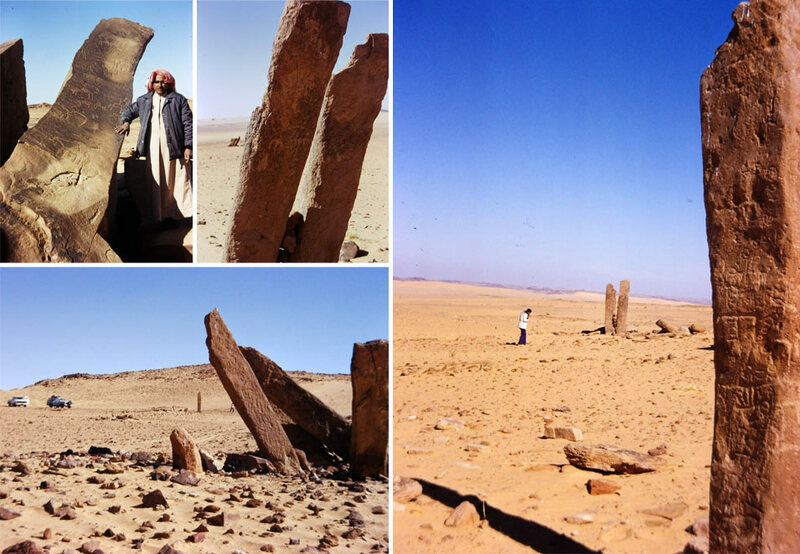 These stones are thought to have been erected more than 6,000 years ago. The use of this circle is not known.